Mostly recognized for starring in South Korean independent films, Lee Yeong-hoon is considered an underrated actor. His most famous role was in No Regret as a gay man who works in a host club which led him to receive Best New Actor in the 26th Korean Association of Film Critics Awards. His achievement continues for his role in The Guard Post for his vivid portrayal as the prime suspect of a 20-soldier massacre in DMZ which made him be nominated as Best New Actor in the 43rd Baeksang Arts Awards, the 29th Blue Dragon Film Awards, and the 7th Korean Film Awards. 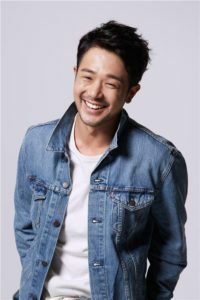 In this article, Channel-Korea will explain all about Lee Yeong-hoon, including his full profile, a list of his television dramas, movies, and theater shows, his wife, and his Instagram account. So, keep reading! Lee Yeong-hoon was born in 1982. According to the Korean Age System, in 2018, Lee Yeong-hoon’s age is 37 years old while according to the International Age System, Lee Yeong-hoon is 36 years old. Additionally, Lee Yeong-hoon is considered a short guy with a height of only 175 cm, whereas his weight is unknown. Despite undertaking a college major in broadcasting, Lee Yeon-hoon has decided to be an actor since his high school days as he attended MBC Academy along with actor Jo In-sung and actress Lee So-yeon. Even so, his face is most known for having appeared in a commercial film for American’s most famous fast food restaurant McDonald’s. 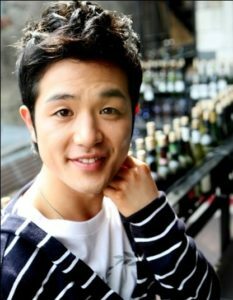 Lee Yeong-hoon honed his acting skill mostly in theater shows which he performed during his college days before venturing to the showbiz industry to star in television dramas and movies. Here, you may check the list of Lee Yeong-hoon’s projects consisting of television series, films, and theater shows! Who Is Lee Yeong-hoon’s Wife? At the time this article was written, there is no information regarding the marital status of Lee Yeong-hoon. The actor also has never been involved in a dating rumor so it is a little bit difficult to know anything about a spouse or girlfriend. However, Lee Yeong-hoon stated in an interview after the shooting the movie No Regret that, unlike his character in the film, his sexual preference is straight and he likes women. Unfortunately, Lee Yeong-hoon does not have a personal social media account, including Instagram. Even so, it is possible that Lee Yeong-hoon will create a personal social media account to get closer to his fans in the future.